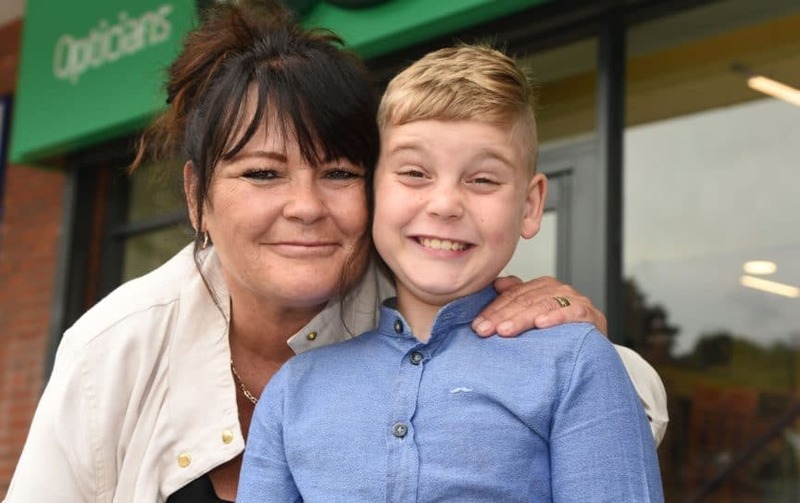 An eight-year-old boy named Kian says he is lucky to be alive after symptoms of a potentially life-threatening condition were detected during his eye test. Kian’s grandmother, Cherryle Levett, is now encouraging others to get their eyes checked. Cherryle had taken Kian to their local optician in Oakwood, Derbyshire for his regular eye test before the new school term started. During the test, optometrist Laura Hirst discovered that Kian’s optic nerve was swollen and his optic discs were blurred. Laura immediately referred Kian to hospital for further testing. When she followed up with a call a week later to see how Kian had got on, she was concerned that Kian’s condition may have become more urgent and advised Cherryle to take him to A&E with an urgent referral explaining his symptoms. Kian was seen at the hospital that afternoon, then sent for an appointment at the Derby Royal Optical Department the day after where an MRI scan was booked. The following week, Kian’s brain scan confirmed that he had two tumours in his brain. Despite being benign, the size of the tumours caused a life-threatening risk to Kian. He underwent a major operation to remove the tumour on the right side of his brain, while doctors continue to monitor the smaller one on the left of his brain. Kian will need treatment and monitoring for the rest of his life to ensure that any further tumours are picked up before they pose a serious risk. ‘I’m so proud of Kian – he’s been so brave,’ says Cherryle. ‘I want to say a huge thank you to staff at both hospitals for their amazing care, and also to the team at Specsavers. Without Laura spotting the problem and working hard to get us seen so quickly it might have been a different outcome. 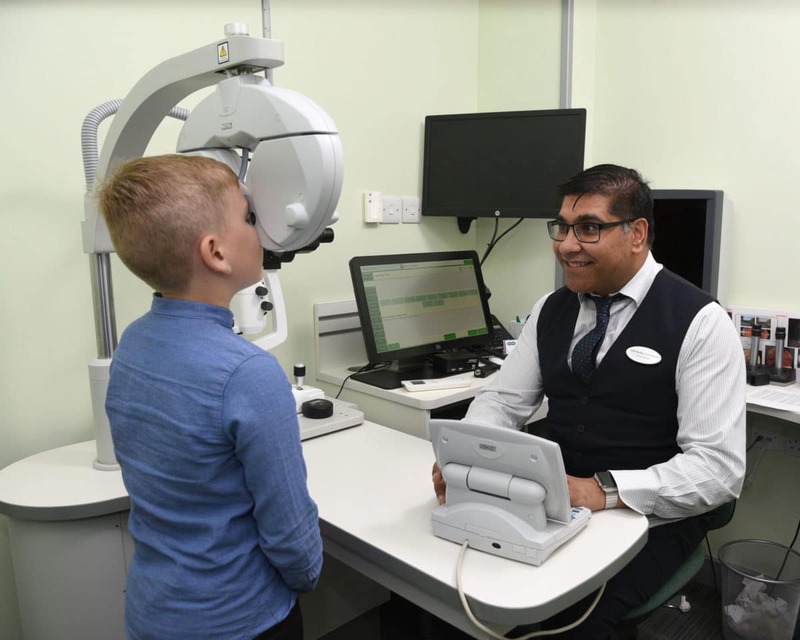 ‘We are pleased to hear that Kian is doing well after his operation and to have played a part in getting his life-threatening tumour removed,’ says Specsavers Oakwood store director, Pratish Bhundia. ‘It’s cases like these that really highlight how important sight tests are as part of your healthcare routine. ‘We reassure people that in most cases these is nothing to worry about, but the training and expertise of our optometry team means that if there are any problems, we can pick up health conditions quickly.